The easy way to get lawn mowing and more from the top lawn pros in Edmond. We currently have no rainfall data available for Edmond, OK. Located on the northern border of Oklahoma City, Edmond offers the comfort and laid-back feel of a small town with all the amenities of a big city. This town is truly the best of both worlds and ranks as one of the top 100 places to live in America. CNBC lists us as one of the “10 Perfect Suburbs” in the country. The State Chamber of Commerce has selected Edmund as the most outstanding community for five years in a row. National Blue Ribbon School of Excellence have been awarded to many middle and high schools in the suburb.
. The family-friendly reputation Edmond enjoys is well-deserved. The Barnett Field Splash Pad can give you and the kids some fun relief on hot summer days. The Pelican Bay Aquatic Center offers big-time aquatic entertainment Memorial Day through Labor Day. For bigger kids, Mathis Brothers Skatepark located in Mitch Park is over 17,000 square feet for your daredevils on skateboards. Beyond that, the Oklahoma City Zoo and Botanical Gardens are a surefire way to enjoy a day outdoors. For days when the weather isn’t so inviting, the Okie Kids Playground is an indoor gym featuring a play atmosphere geared toward learning. It features a coffee bar, exhibits, pretend houses, and an extensive play system. The Science Museum Oklahoma is one of the largest science museums in the country offering hands-on exhibits for kids of all ages. Once you’ve had your fun, head downtown for some shopping, food, or to meet up with friends. Downtown Edmund offers an array of shopping in a historic and picturesque setting. You'll find bustling streets filled with shops serving gourmet coffees and teas. Sit and relax after taking in the art galleries. You shop for antiques, boutiques, clothing, and stop in one of the diverse eateries. Right next to downtown is Festival Place and Plaza, an outdoor venue that hosts events throughout the year. With so much to see and do in Edmond, don’t waste a minute of your weekend tending to your lawn. Instead of pushing a lawn mower, consider hiring LawnStarter for all your lawn care needs. From lawn mowing to tree trimming, flower fertilizing to landscape design, we offer it all. 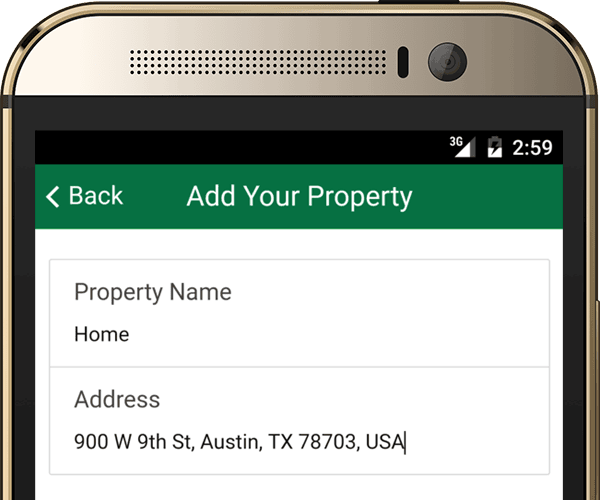 Just log on to the LawnStarter desktop website, or install the handy, easy-to-use mobile app. 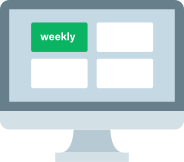 From there, you can schedule, cancel, confirm, or modify services - all customized to your zip code. Our friendly landscapers are willing to do whatever it takes to help you create the lawn of your dreams. Contact Lawnstarter, the premier name for all things lawn care in Oklahoma and Edmond. We'll create the yard you’ve always dreamed of, while you and your family are out enjoying the things that make Edmond such an exceptional place. The lawn looks fantastic! David and his crew were meticulous and I am very pleased with the outcome! Thank you! Jared and his team did an awesome job! Thank you Jared!!! Jessie and his brother did a great job! Very efficient! Guy did a great job! Very thorough and got around the things I forgot to move (dog toys, lawn chair, etc). david did great! great service, truly changed the way my yard looks. thanks, david! They did a very nice job. Long Mountain Lawn Care L.L.C. Need to follow up tomorrow with edging completion. Otherwise quite satisfied. Lew does a great job. Yard looks awesome! Thanks, Matt! Mow was good. Some missed spots and the grass is a little tall, overall it's good. In all fairness, the grass has gotten out of control. Thanks for picking up all the leaves!! the yard looked great, but I was wondering why there was still a pile of leaves in the middle that were not run over with the mower? LawnStarter pros will let you know what your lawn needs. Here are some recent recommendations for extra lawn services in Edmond, OK. Description: Front yard Trimming the low hanging branches mainly on the oak in front. Raise it to about 8" so it's easy to walk under and won't impede with your parking. Description: Full yard This prove include bush trimming Flowerbeds cleanup and new mulch For the play ground on back yard will be a different price ! Description: I can fertilize your lawn with “weed and feed” to help get your lawn off to a great start, and keep the weeds under control this season. Price includes fertilizer and labor and will cover the front yard. This is the perfect time to spread fertilizer. Serviced by: Armstrong's Lawn Solutions Inc. Items Needing Service: I need the queen palm in the backyard trimmed up and the seed pods removed. Work to be Done: Branches cut and seed pods cut. Trunk cleaned up. Items Needing Service: 2 trees in front yard, not sure if they need serviced at this time, but would like estimate for future. Do you need quotes from a well done lawn maintenance company? 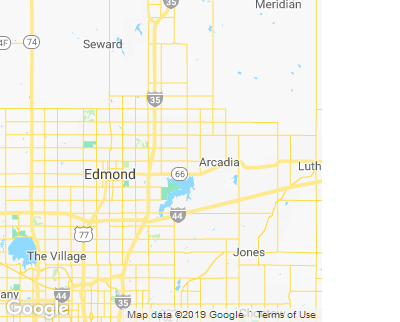 Armstrong's Lawn Solutions Inc. is a lawn maintenance company that is proficient in lawn work, shrub trimming, and pruning throughout the Edmond area. R. Hansen's Lawns is a gardening service offering professional lawn mowing, aeration and other services in Edmond. They are knowlegable and customer focused. The business also often does stump grinding. #3-J. Pearson's Lawn Treatement LLC. J. Pearson's Lawn Treatement LLC. strives to be the best residential lawn service in Edmond. Jay's crew has 9 years of experience and provides good quality lawn service and aeration in the Edmond area. Logan and his team deliver high quality lawn service, leaf removal, and even large scale junk removal in Edmond. You can expect communicative service, thanks to their 13 years of experience. With over 17 years experience, Antonio is one of the Edmond area's top lawn care experts. He primarily does lawn maintenance but also offers tree planting, lawn aeration, and more. Wesley's Lawn And Garden is Edmond's best choice for lawn maintenance and irrigation repair. With 20 years of experience, Wesley and his crew are dependable and personable. Clayton's Lawn & Garden is Edmond's best choice for landscape maintenance and lawn aeration. With 19 years of experience, Clayton and his crew are responsive and customer focused. Looking for a professional lawn service that is proficient in quality lawn work in Edmond? Then Brent and his crew are your solution! Julian's Lawn Maintenance provides professional lawn service and tree removal in Edmond. Julian and his team have tackled hundreds of lawns over the past 7 years. Are you in need of a punctual grounds service? Barker's Lawn & Landscape handles exterior washing, pest control, and lawn care throughout Edmond. May's Lawn Care Service has been servicing Edmond for over 13 years. Mark prides himself on being attentive to detail, reputable, and offers lawn service, weed killer application, and even pruning at fair priced rates. Ronnie started landscape maintenance lawns 12 years ago. Today Collier's Lawn & Landscape serves hundreds of customers in Edmond, and provides reliable landscape maintenance and bargain priced dog waste removal. In need of a lawn and landscape maintenance company? Luis and his pros are some of the lawn care industry's foremost gurus. They do high quality irrigation repair, lawn work, handyman work and even organic lawn treatment. Leslie started lawn maintenance lawns 11 years ago. Today Leslie Luna's Garden Services serves hundreds of customers in Edmond, and provides professional grade lawn maintenance and reasonably priced concrete work.